Project6 Design, a San Francisco Bay Area web design and development firm, earned three awards in the 2013 WebAward competition for responsive website design, including two Outstanding Website awards and a Standard of Excellence award. The WebAwards Competition, held by the Web Marketing Association, honors the most effective work from the best website design firms around the country. San Francisco Bay Area website design and development firm Project6 Design is proud to announce three honors from the Web Marketing Association’s 17th international WebAward competition. The redesign of the complex Leisure Sports, Inc. website garnered Project6 Design the Standard of Excellence award in the contest’s Sports category, and the Musicians Institute and Nok Nok Labs earned Outstanding Website awards. Websites are judged on seven criteria, including design, innovation, content, technology, interactivity, copy writing and ease of use and receive a numeric score. 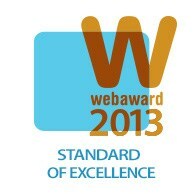 Each WebAward entry is judged against other entries in its industry category and then against an overall standard of excellence. With 12 years of design and development expertise, Project6 Design has a proven record as one of the best web design companies in the San Francisco Bay Area. Leisure Sports, an active lifestyle business, designs, develops, owns and manages distinctive, high-end fitness resorts and hotels that offer world-class service, contemporary facilities, and innovative sports and fitness programs. 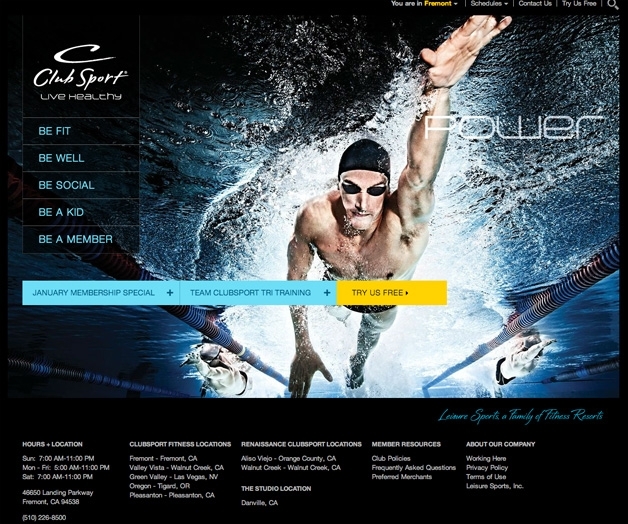 Project6 Design refined the Leisure Sports sites’ outdated navigation and branding, developed multiple content editor roles, updated an outdated and complex custom fitness scheduling tool, added internal promotions, and more. The result is a single Drupal-driven website that serves all seven location websites and allows easy access to multiple editors to quickly make changes. 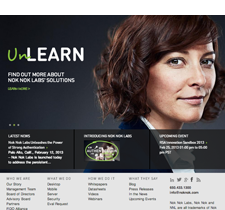 Nok Nok Labs is a B2B security startup in Palo Alto that was looking to come out of stealth mode. Targeting a conference as their grand unveiling, they had just a few months to create their website and establish their presence. Project6 Design created a simple information architecture to enable site visitors to learn about their revolutionary vision quickly. GoTo Webinar, Jobvite, YouTube Video Channel, and the Marketo CRM were integrated into the website as part of Nok Nok Labs' drive to attract top talent and captures leads. 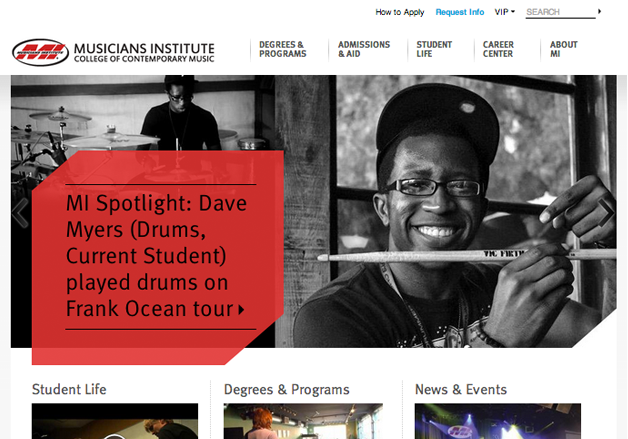 Musicians Institute provides an innovative education that prepares graduates for professional, creative careers in the contemporary music industry, but they were saddled with an outdated, unintuitive website that was not at all user-friendly on desktop, and didn't work on mobile devices. Project6 Design reviewed site analytics, created detailed user personas, and developed an information architecture that appealed to each of the target audiences, resulting in a new website design is clean, refreshing and easy to read—after years of struggling with white text on a black background. The Musicians Institute marketing department is now empowered with a responsive, sharable, search-optimized, easy-to-maintain design that allows their brand to shine. All three websites were designed and built using the latest award-winning Responsive Web Design (RWD) methodologies—so images are scaled and navigation is intuitive on all devices, from large desktop monitors to the smallest phones. All are built with the Drupal content management system (CMS). Drupal is an open source content management platform powering millions of websites and applications. It’s built, used, and supported by an active and diverse community of people around the world. It is used by some of the biggest sites on the Web, like The Economist, Examiner.com and The White House. Drupal is a cutting-edge platform that supports the latest technologies that the Web has to offer. The Drupal project's principles encourage modularity, standards, collaboration, ease-of-use, and more. The Web Marketing Association was founded in 1997 to help define the standard of excellence for online marketing. Its internationally known award programs, such as WebAward Competition for Website Development, Internet Advertising Competition and the MobileWebAwards, recognize the people and organizations responsible for developing the most effective online marketing programs on the Internet today. Project6 Design is an award-winning San Francisco Bay Area web design firm working with high-tech, retail, education, and nonprofit organizations. Our strategic process helps elevate their brand, engage their target audience, and drive business results. Our services include branding, print collateral design, and web design and development. Clients include eBay, Gap, Stanford, CA Technologies, Old Navy, The Siebel Foundation, UCSF, and many others. For more information, call (510) 540-8005, email: info(at)project6(dot)com or visit our website at http://www.project6.com.